A walker was airlifted from a Lake District fell after injuring an ankle. Keswick Mountain Rescue Team was joined by colleagues from the Cockermouth team at the incident on Grisedale Pike on Tuesday. The Keswick team was alerted about 11.10am when the 19-year-old suffered the injury while making a direct descent from the Grisedale Pike ridge to Force Crag Mine in Coledale and was unable to continue. A team spokesperson said: “At Long Crag the person injured an ankle and was unable to continue. “Keswick and Cockermouth rescue teams were deployed and after some initial difficulty the casualty was located, and then treated at the scene. “Due to the steep and rocky ground a request was made for Coastguard helicopter support. 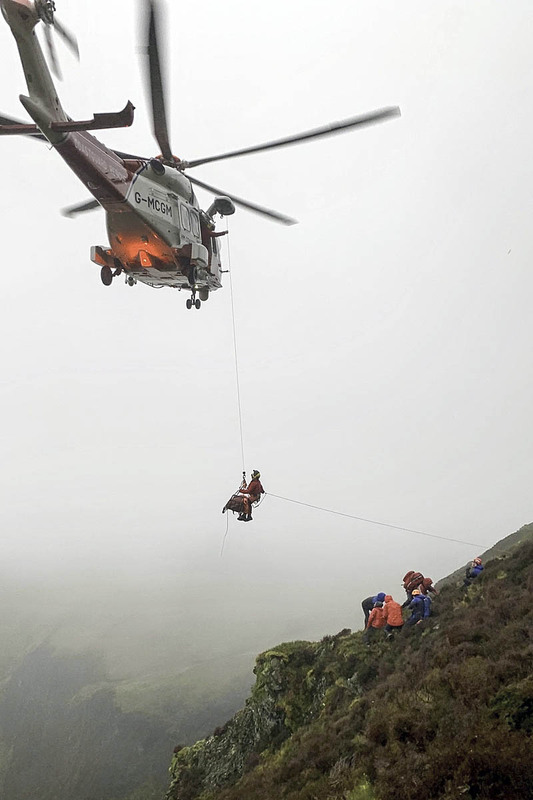 The rescue lasted more than 4¼ hours and involved 14 volunteers from Keswick MRT.